"It doesn't matter what you do, he said, so long as you change something from the way it was before you touched it into something that's like you after you take your hands away..."
When I think of art and craftsmanship, this quote has always been one of my favorites. I love the idea of using our hands to build things, to create, to offer change and goodness into the world in a way that reflects a piece of who we are. And not only that, but then using these gifts and tools of our hands to teach others how to do the same. I have great respect for people who make such a lifestyle for themselves and their surrounding community. So, with that being said, there is a local business in my neighborhood that exemplifies this connection of craftsmanship + teaching in beautiful ways. 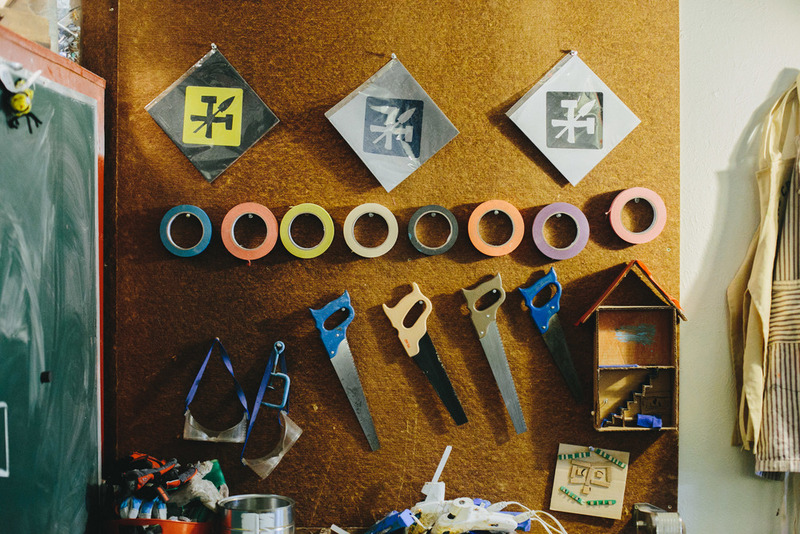 The Craftsman and Apprentice is a small workshop in downtown Denver that encourages creativity and imagination throughout all ages. This sweet little space offers a wide range of workshops and hosts events that vary from toddler "Tinker Time" to adult sling-shot making birthday parties to pop-up markets for local vendors. Neighborhood kids gather every Saturday morning where they are provided with materials - cardboard, wood, etc - and are given the chance to create whatever their little imaginations desire. It's always amazing to see the things kids come up with! Spaceships, robots, musical instruments... you name it. The classes offered for adults are also INCREDIBLE. Kombucha 101, Sling shot making, Native American beading... the list continues. Across the board, the C+A has created endless opportunities to bring the community and neighborhood together in pretty innovative and fun ways. Earlier this fall, I was able to capture some moments in action of The Craftsman and Apprentice over the course of a weekend. The weekend held two different birthday parties (my favorite was the arrow making themed! ), a fermentation workshop, and then ended with hang time with Delanie (creator/owner), Jon, and their two awesome little ones at the shop.